Without a doubt, Mendler’s musical abilities are outstanding. Her voice is very similar to Goulding’s, but has a deepness to it. Ellie Goulding has the tendency to sound over worked and auto-tuned to death. Bridgit Mendler can hit the high notes and still sound natural. She brings a new quality to the song. Bridgit Mendler’s voice is like a mix of Ellie Goulding and Demi Lovato, both extremely talented women. Covering this song was an excellent choice. A listen of Mendler’s debut album reveals little more than bubble gum pop. If she can tap into this kind of music and get some better writers, Mendler’s voice can really go far. The thing about this music video, which features Mendler standing at a microphone and really connecting with the camera, is her new look. If you’ve seen her on Wizards of Waverly Place or Good Luck, Charlie, Bridgit Mendler is clad in stylish teenage clothing. She wears a lot of color, has long, beachy waves and natural makeup. In this video, Mendler wears a strange getup. Her shirt has too much going on. From the black and white stallions galloping out of her shirt to the bedazzled sleeves and collar, the look is weird. The collar of the shirt has cut outs and a crew neck. She’s trying to take indie and turns it awkward. For such a beautiful girl and a beautiful song, Mendler should have tried some ethereal and sheer top to go with her starry background. 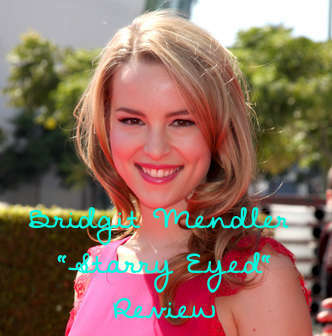 Bridgit Mendler gets at A for the song and D+ for the fashion. If she can just focus on one look and sound, she has a promising career ahead of her.